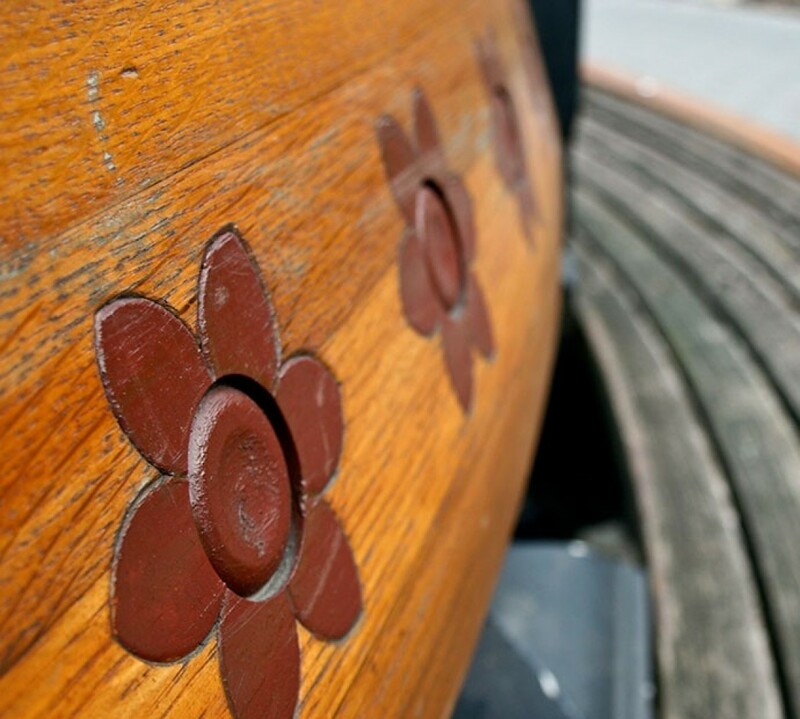 June was a wild and crazy month for me, which is why I haven’t blogged in a while. Here’s a quick recap of what kept me so busy, but I’ll have more photos to share later when I have more time! In a matter of seven days, I had three life changing experiences. Even though none of them were surprises, it was still an overwhelming and emotional week! My best friend Heather married her man after months of planning and years of loving him. 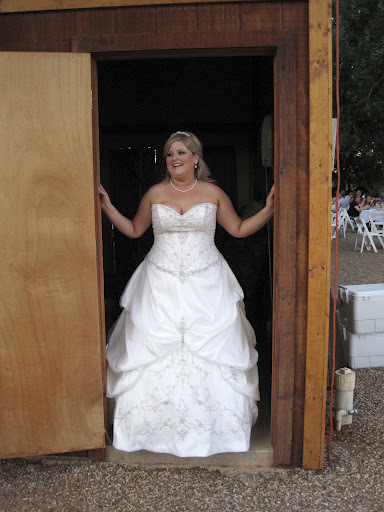 She was the most beautiful and easy going bride ever! It was such an honor to stand next to her on her special day. Quickly after getting back to Austin from the wedding, kitty and I moved to a new home. It is charming and lovely and completely me. 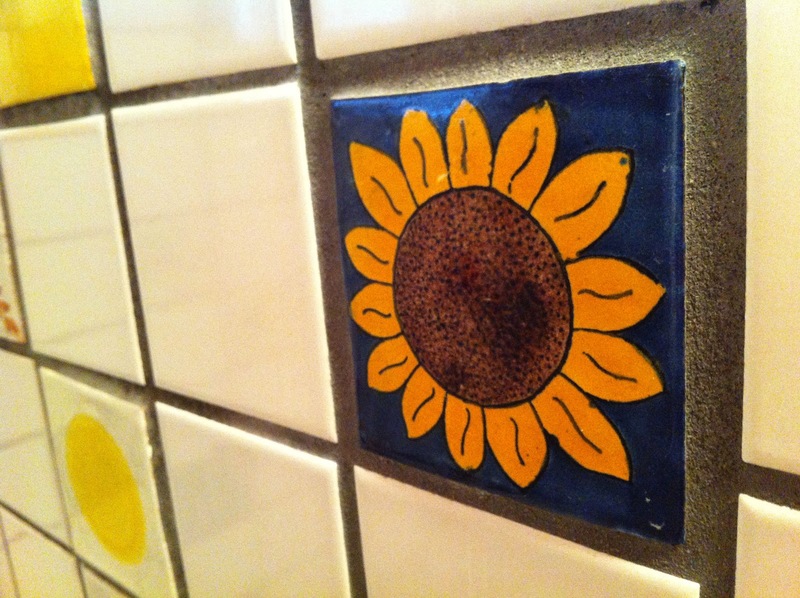 Here’s a snapshot of one of my favorite details…sunflower tiles! The day after moving, I became an aunt for the third time. EEK! 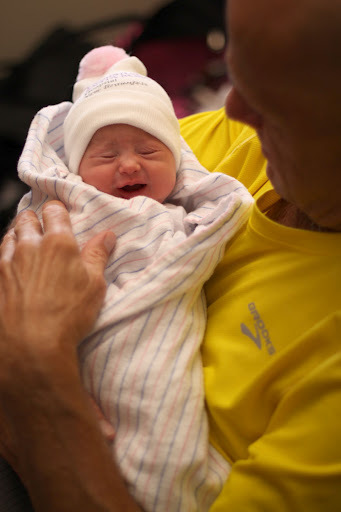 Annabelle was born June 28th and is the prettiest baby. Congrats to Zak, Amber, and Couper!